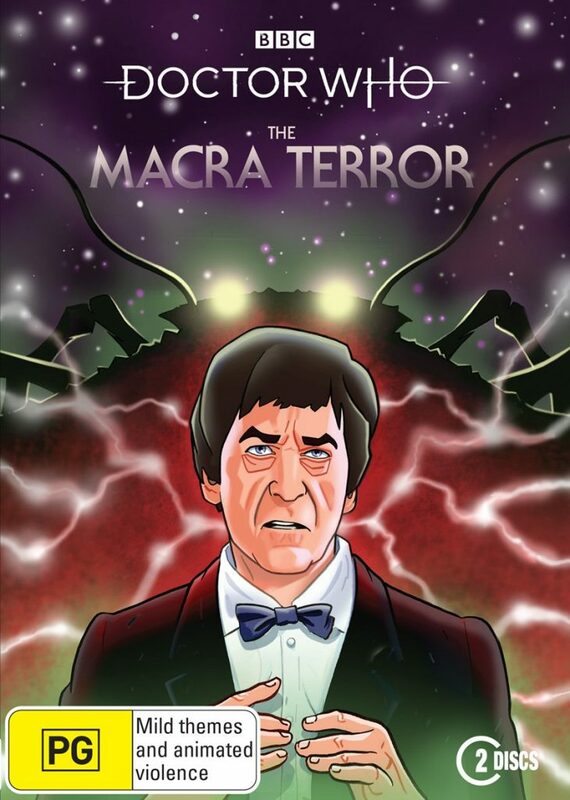 The Second Doctor and his friends Ben, Polly and Jamie arrive in a seemingly idyllic colony where everyone is happy – but colonists keep on disappearing and the Doctor believes that sinister crab-like creatures known as the Macra are responsible. However, no one in the colony believes in Macra. There is no such thing as Macra. Macra do not exist! A dystopian satire centred on a community manipulated into an endless cycle of mundane labour and forcefully cheerful recreation, The Macra Terror was significantly ahead of its time – Russell T Davies loved it so much he brought the Macra back for 2007’s Gridlock. While all four of the original episodes of this adventure are lost, surviving sound recordings have been used by the same team behind 2016’s The Power of the Daleks to produce a new animated version, available as a two disc set including both full colour and vintage black-and-white flavours. Unseen for over 50 years, this underrated gem now has a chance to shine.